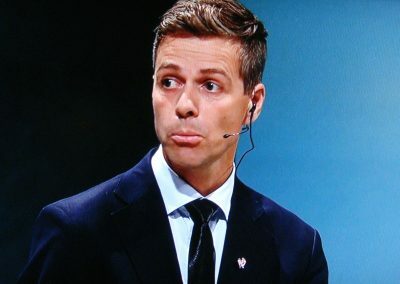 Knut Arild Hareide, leader of the small Christian Democrats party, found himself holding an enormous amount of power over the fate of Norway’s minority government coalition Wednesday morning. He retreated into a meeting with his party faithful, to decide whether they’ll support the government’s proposed state budget and thus prevent the government from falling. “This is a serious decision for our group and a serious decision for the country,” Hareide’s deputy Dagrunn Eriksen told Norwegian Broadcasting (NRK) as they headed into the meeting. After the Liberal Party broke off budget negotiations on Tuesday and withdrew its support for the government, only the Christian Democrats appear able or willing to give Prime Minister Erna Solberg of the Conservatives and Finance Minister Siv Jensen of the Progress Party the majority they need to get the budget through Parliament. It’s all left the Christian Democrats in both an enviable yet awkward situation, though, torn between loyalty to its government support partner (the Liberals, who hoped the Christian Democrats would follow their lead and reject the government’s budget as not being “green” enough) and the government itself. Both non-socialist parties could be held responsible for toppling a decidedly non-socialist government, paving the way for Labour to take over. At least one county leader of the Christian Democrats was on national radio Wednesday, though, saying that he didn’t think the squabble over minor increases in fuel taxes was enough to topple the government either. If the Christian Democrats go along with the budget, they’re also likely to win much more favour from the sitting government in the run-up to next autumn’s national election. As Norway’s budget drama spiked, Solberg and Jensen had another crisis meeting of their own Tuesday night at the prime minister’s residence. Along with their budget delegates, they reportedly were determined to keep working towards a solution and continue governing together. They weren’t necessarily keen on simply finding a “one-sided solution with the Christian Democrats,” a state secretary for the Conservatives insisted to NRK. “The Conservatives and teh Progress Party are continuing to work towards good solutions so the country can get a good budget,” he said. In which case, the Liberals may return to the table as well.